1' FT. cord with ground. 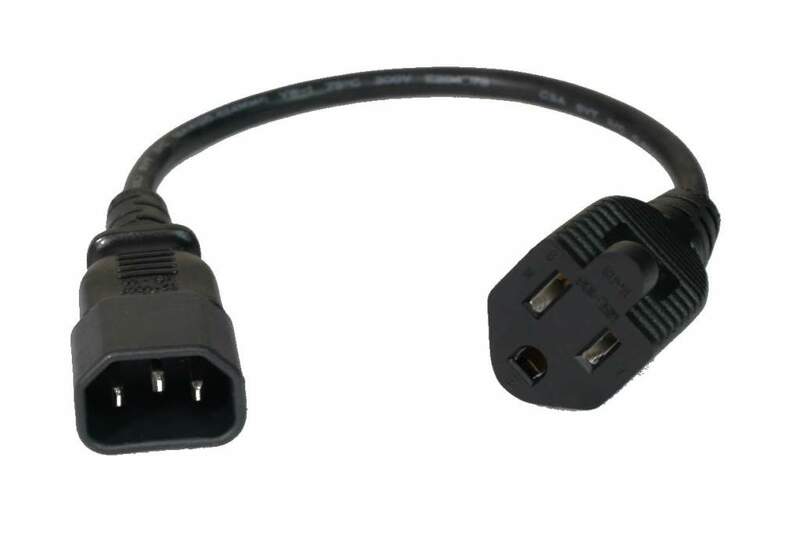 Used to adapt the switched power connector on the back of pc power supplies to a standard cord. So that device pluged into this cord switch on and off automatically with the computer. Also used to connect to many UPS Systems that use the IEC320 C13 Connector.